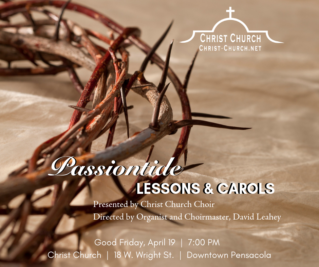 (Starting at Old Christ Church) A shuttle will be picking up people from new Christ Church to take them to Old Christ Church for the Stations of the Cross on Good Friday. The service starts at 10:30am, so the bus will start making trips at 9:30am and leave for the final trip at 10:30am. Meet the shuttle in the back parking lot (Belmont Street). 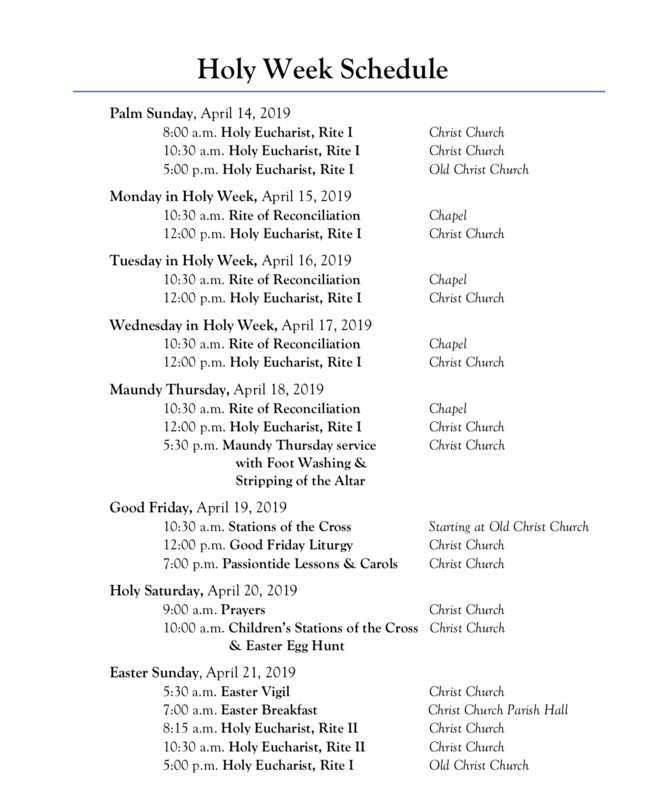 The stations will conclude at new Christ Church around noon, so you will be back at your car.